- To give children a tool to solve problems in a focused, structured way, in order to achieve peace. - To know that we can achieve peace by following the Qur'an and copying the manners of the Ahlulbayt. A true Muslim always acts in the way the Qur'an teaches and follows the manners of the Ahlulbayt. His behaviour is always peaceful and he doesn't do anything to hurt or upset others. 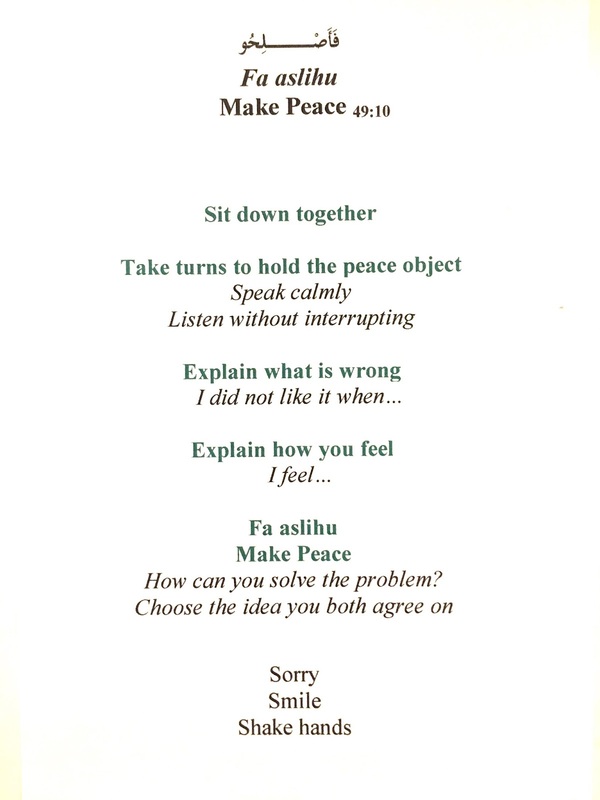 The Peace Table is a conflict resolution tool adapted from the Montessori classroom. It can be implemented at home to help work through disputes to a mutually agreeable resolution. 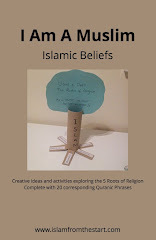 Symbols such as a Globe, Qur'an stand, Karbala flag etc can be set up on the table as visuals to remind children that to be at peace with one another, we must act in the way the Qur'an teaches us and follow the manners of the Ahlulbayt. Brainstorm what peace means and what peaceful behaviour looks like. E.g. Kind/helpful, Work together as a team, get along with others, find a way to solve arguments calmly, be able to agree on a solution. Use picture cards or scenarios to role play different conflict scenarios and solutions to resolve them. Can you imagine how the world would be if everyone made peace with each other? How would it be if everyone was kind, helped each other or didn’t upset you? We must do our best to follow Allah’s rules and live in a peaceful way.